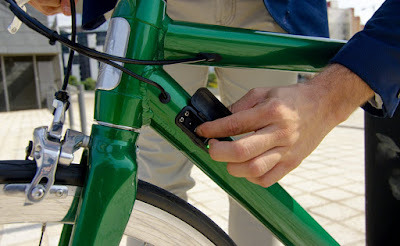 Cool bike accessories to reflect your style with safety! These days our Safety should be our priority as lots of unfit things are revolving around us. In the today’s world security has various definitions as the trends have changed. Earlier, it was only related to physical safety and to have a protective house that can secure you from enemies was enough but when the technology advanced things deviated from the path. We stayed online and lots of other works were done through internet, our roads became more subjected to the accidents, crime cases increased etc. So being protected on the roads is important especially when driving a Bike. To reduce accidental and destructive cases always use cool bike accessories. Cooler in looks and smarter in origin these accessories are a must have. Do not play with your safety on road. Stay in style plus protection with the products from the Gadget Flow! Your safety is our priority and a helmet can never be excluded. If you take your safety seriously then the Morpher Flat Helmet is all you need. It is specially designed for those who are always on the go on their bike and can be folded when not needed. This helmet is just perfect for those who bike on daily basis while going to work or party. Keep it easily when not in use and wear it when required. Lauva Retro-Inspired E-Bike makes your bike look fashionable as well as trendy while rocking a retro vibe wins your heart. Try out our cool bike accessoriesto make yours powerful & the one that can cross a variety of terrains plus looks stunning. It’s sleek, light & stunning design is also good as it includes a powerful motor and large battery. Purchase it from our store and stay safe.